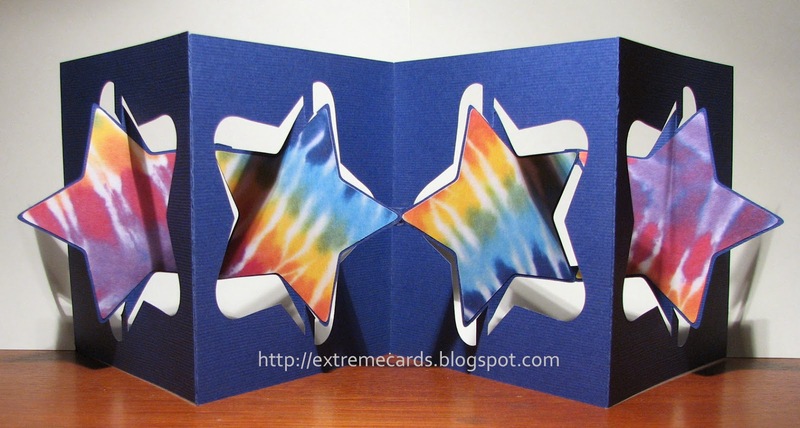 Last week I made an Easter egg version of this accordion flip card. This week I tried a star shape, which was much more challenging to design. Download files: Silhouette Studio, PDF, SVG, DXF. 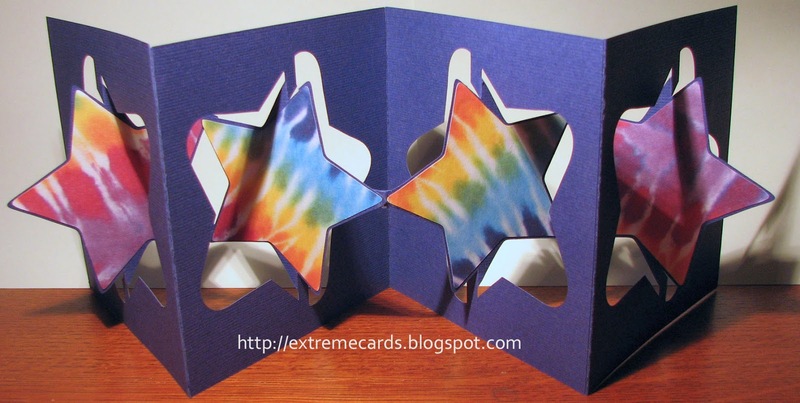 Decide how many pop up card panels you want. Use the chart below to determine which pieces you need. You will assemble the numbered panels in the order given, from left to right. 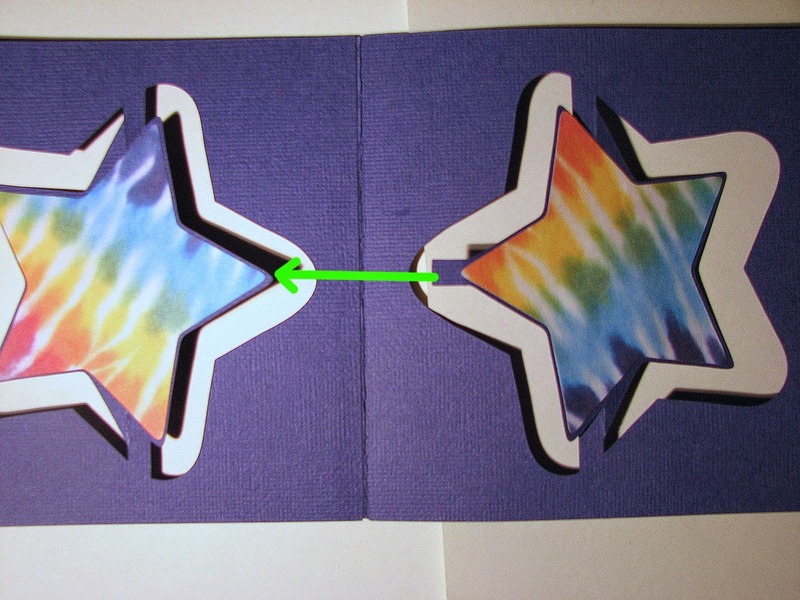 For longer cards keep adding additional pieces 3 and 4 to the right-hand end of the card. Cut panels. Cut panel liners and star liners as desired. Lay out the panels in order. Glue panels together using the long vertical panel tabs. You can add some of the star liners now. Cover all of the star fronts. Cover the backs of the stars on the far right and far left panels. 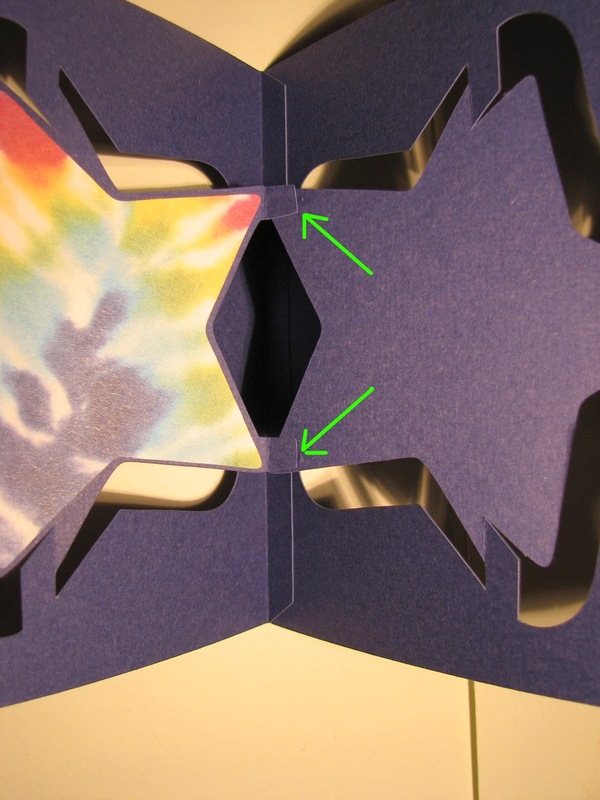 Hold off adding the other star liners until the star tabs are adhered so the liners will cover the tabs. Fold the card into a zig zag, creasing at the panel joins. The crease between panels 1 & 2 should come forward (mountain fold) and the crease between panels 2 & 3 folds to the back (valley fold). 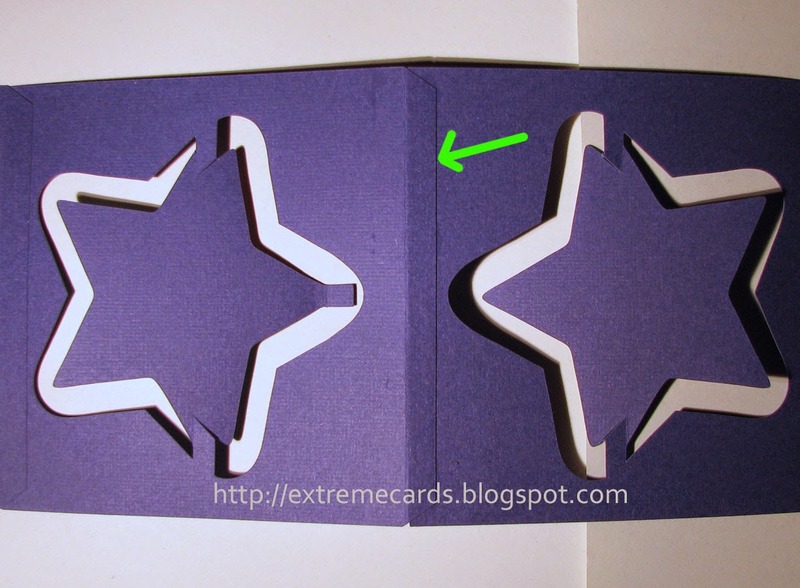 Pre-crease the swivel folds at the top and bottom of each star. Crease all star tabs. Glue the single tab connecting the stars on panels 2 & 3. The tab is glued to the back of panel star 2. Glue the double tabs connecting the stars on panels 1 & 2, and 3 & 4. Again, glue the tabs to the backs of the stars. Repeat as needed if you have more than 4 panels. Cover the remaining star backs with star liners. Need more detailed instructions? Check out the Easter egg version for more photos, and a link to video instructions.